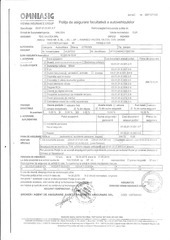 This PDF 1.4 document has been generated by / iText 2.1.5 (by lowagie.com), and has been sent on pdf-archive.com on 20/04/2016 at 05:04, from IP address 101.78.x.x. The current document download page has been viewed 456 times. File size: 27 MB (149 pages). w eq #1Jarlrfrlh'ffi^ kR ft.lvlEffi. Aiaft,,H+xrz+1ffi+'RK, fu-,tEA- H, gt^t E+1. ftM, ffiD)t,4 f h t9. , rt . jt, . F . El-.,t. X . LL. ]g .
| fFJ,'#-# + - - w H lT*a, &amp;_ft. A, EKft_: E r))! . lEl[+' r D t triilffiX.ffiRtffih t. tWn t. rtEr4fur =ffi6H . This file has been shared by a user of PDF Archive. Document ID: 00362420.